In 2015, Facebook revealed that Christmas Eve was the most popular day to get engaged. But before you start thinking about whether you'll allow plus ones or go for chicken or salmon at the wedding, the first hurdle is to decide if you will share your news on Facebook or Instagram—if at all! Of course this is a happy moment to be celebrated, but ring selfies can be the epitome of all that is annoying about the hashtag #blessed. The consensus in our office is that the only way to not seem smug about your engagement, is to not post it to social media at all (sorry, everyone) but if you have to, see some of the best we've seen and the lessons we've learnt from the worst. The best engagement pictures are the ones that are fun, spirited and not too cheesy (unless you're Prince Harry and Meghan Markle, in which case the cheese seems to go down rather well). 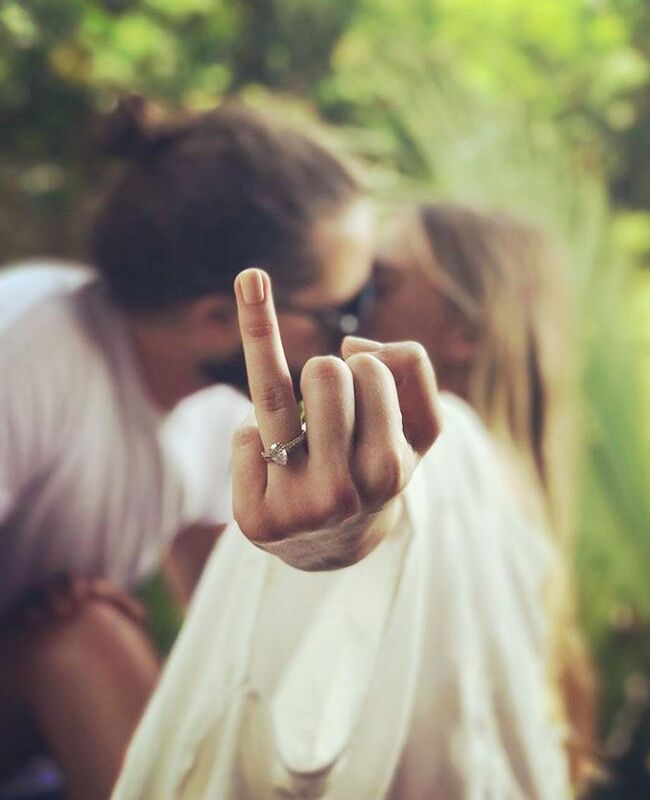 Margot Robbie's shot of her giving the camera the finger, with her ring on it, looks spontaneous and not just another manicured finger against a bunch of peonies and cappuccino picture. When I asked 15 people in the office which engagement pictures they like the best, the majority said a close up of the ring—because let's face it, people are nosy and want to see. 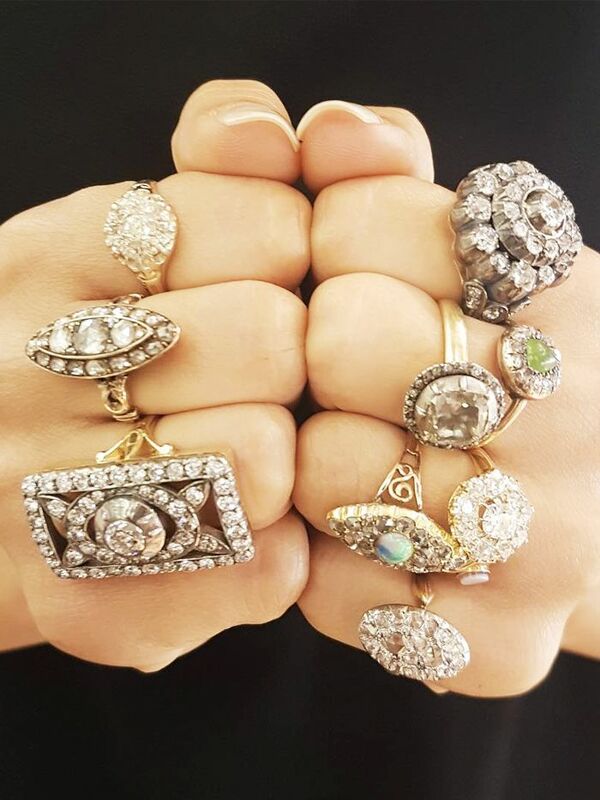 Kim Kardashian West has posted many pictures of diamonds, but the cutest of all was the Instagram of a baby North West holding her engagement ring in her tiny hand. The cute factor far outweighs the clear bragging about the scale of the diamond. One of the best I heard from the team was of an engagement ring tucked into a piece of ham—random yes, but strangely brilliant. If you don't want to look smug, leave off hashtags like #sohappy and #blessed and avoid over-the-top captions. Less is always more. Close family members won't want to hear you are engaged via a selfie on social media, so before posting any announcement make sure those close to you have heard it from you first. Next up, see our edit of the best affordable, high-street wedding dresses.